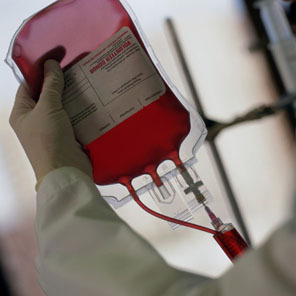 You are currently browsing the category archive for the ‘Blood Transfusions’ category. THIS and other similar texts of Scripture are being used by some In an effort to prove that donating blood to save another’s life, or receiving a transfusion of blood, Is forbidden by God and a sin So gross as to result In eternal death. Are we justified In placing such an interpretation upon the divine injunction against eating or drinking the blood of lower animals? What common factors are Involved in drinking the blood of lower animals and the medical science of blood transfusion? So far as we are able to see, there is only one, which is the word blood. Apart from this, the two practices have nothing whatsoever in common. The life- sustaining vitamins derived from drinking blood reach the system through the digestive organs, the remaining elements being eliminated from the body as waste; thus the blood, as such, is destroyed. 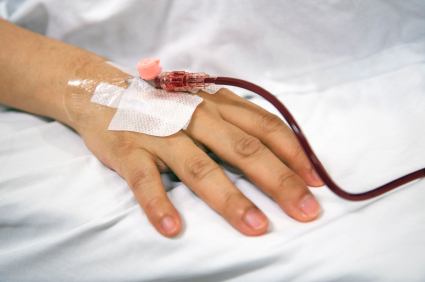 In transfusions the blood of the donor is channeled directly into the bloodstream of the patient. In Leviticus 17:10,11 we read: “And whatsoever man there be of the house of Israel, or of the strangers that sojourn among you, that eateth any manner of blood; I will even set my face against that soul that eateth blood, and will cut him off from among his people. For the life of the flesh is in the blood: and I have given it to you upon the altar to make an atonement for your souls: for it is the blood that maketh an atonement for the soul.” The expression, “any manner of blood,” cannot be construed to include human blood, for human blood was not offered on altars by Israel. Symbolically speaking, It is essential to “drink” the blood which was prefigured by those typical sacrifices, the blood, that Is, of Jesus. Jesus said, “Except ye eat the flesh of the Son of man, and drink his blood, ye have no life in you.” (John 6:53) In non symbolic language this simply means that in order to have everlasting life, either by faith now, or actually In the age to come, it is essential to accept Christ and his sacrificial work on our behalf—to recognize that he died for our sins and for all mankind, including Adam. But this acceptance of Christ Is wholly unrelated to blood transfusion as now practiced In the medical world. A problem was presented to Jewish Christians In the Early Church when Gentile converts began to associate with them. These Gentiles were sincere In their acceptance of Christ, but seemingly In many cases their Christian faIth was merely superimposed upon their forms of heathen worship, many of which were repugnant to Jewish believers, and some even licentious. Certain Jewish teachers in the church thought to discipline their Gentile brethren by insisting that they obey the ordinances of the Law, such as circumcision The apostles, and others more mature in the faith, met in conference at Jerusalem to decide what should be done about this problem. In view of the circumstances, they agreed on a minimum requirement of Gentile converts—they were to “abstain from meats offered to idols, and from blood, and from things strangled, and from fornication.” (Acts 15:29) Fornication Is unequivocally condemned In the Scriptures. The idolatrous worship of the heathen of that day included feasting on the meats which had been offered to Idols, and fornication. Partaking of blood could easily have been associated with these revelries. The immature Gentile Christian would see no wrong in these things, but to bring them into the church would have been disastrous; So the apostles wisely insisted that they abstain from them. However, these instructions to Gentile believers in the Early Church have no bearing whatever on the present- day medical science of blood transfusion. The Watchtower, endeavors to prove that the divine injunction against drinking blood includes human blood. They cite the case of David, who refused to drink the water secured for him by three men at the risk of their lives. David said, “My God forbid it me, that I should do this thing: shall I drink the blood of these men that have put their lives in jeopardy? If you have an opportunity to donate your blood to save the life of a relative or friend, or a brother In Christ, do not hesitate thus to serve. Or If your doctor says that blood transfusion will save your life, or the life of your Child by all means take advantage of this modern blessing.